I'm trying to figure out what is "lightweight" way to configure my Ubuntu 16.04 LTS server to have access via GUI (over SSH as option). I would like to reach it from my Ubuntu 16.04 workstation. I have really poor knowledge about how those techniques work. I read about X11 and it seems it's possible to just install Xorg server and enable X11 forwarding and it's it. But in other articles I read that it's just enough to install desktop common packages and it's not necessary to install all the GUI related stuff. So I'm really confused. I also see there are several methods like VNC, "plain" X11 forwarding, xRDP. They can be combined. I read different resources and as I realized the most preferable way to do this is to use xRDP? May be I'm wrong? This article (one of I've read) http://c-nergy.be/blog/?p=8952 describes the xRDP installation and doesn't consider SSH. Here is the ssh forwarding How to forward X over SSH from Ubuntu machine? Is the xRDP most preferable way achieve the goal? * - If the xRDP is not an option the last two questions relate to that one (VNC or something else) you suggest, please. In the server you need an ssh server, for example openssh-server and at least some basic X tools, for example xinit and fluxbox (and the programs and libraries that they need). You must also install the application programs that you want to run, I suggest xterm and the graphical application programs that you want to run. In the client computer you need ssh to log in and sftp to transfer files or some other tool, that can perform the same tasks, for example filezilla. Using ssh directly like this is simple, but maybe not as elegant as RDP or VNC. But you should also consider learning the necessary command line tools, and manage your server that way or via a web interface. It depends, but I would say yes. I myself, have come across this same problem and arrived at xrdp. I too have a ubuntu server that has xrdp installed on it and I'd say it works very well. While I was looking for a solution myself, I came across this article here, which I found very helpful. Also, as @mikewhatever has also pointed out, you don't need the same desktop environment on the connecting computer. The only reason why you need a different desktop environment in the server is because XRDP doesn't support the default environment. 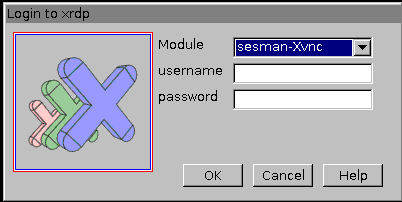 It's automatic*, you just need to enable the ssh tunnel option in your remote desktop client. *I didn't need to do anything fancy, I just followed the steps in the linked article. Not the answer you're looking for? Browse other questions tagged ssh gui remote or ask your own question. How to run script (.sh) files in a new terminal after connecting to Ubuntu 16.04 server via ssh? How do you send and receive data from one machine to another? How to keep a remote X11 app running after disconnecting SSH? 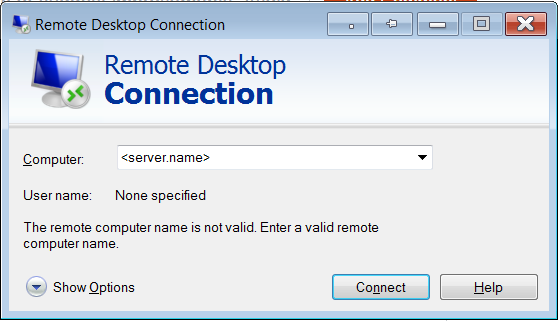 How to install a gui for remote desktop on server 18.04? How to access or connect a desktop GUI on a remote Ubuntu 18 server?